Your exterior surfaces are exposed to outdoor elements that can cause them to look dirty, worn and faded. 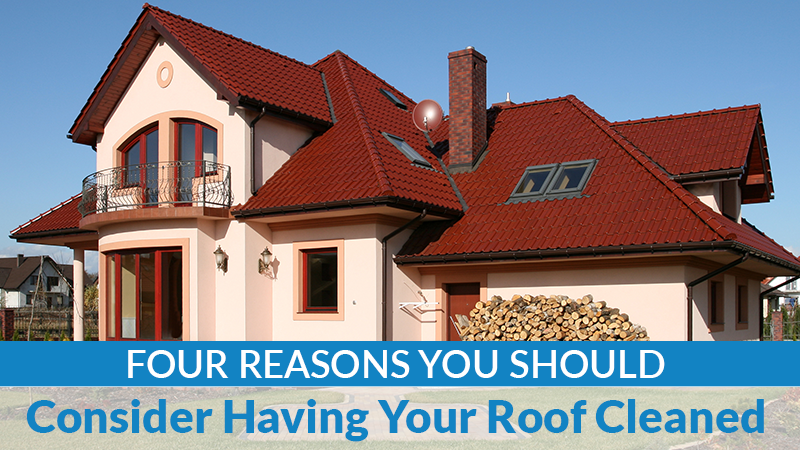 Fortunately, there are options available to clean these surfaces. Surfaces such as wood decks, metal fencing, shingle roofs, concrete driveways and vinyl home siding can all be cleaned using a pressure washer, also known as a power washer. A power washer shoots a steady stream of pressurized water at the surface, helping to lift dirt in conjunction with the use of the right soaps and degreasers. As a homeowner, you may be thinking about pressure washing the surface yourself. But, there are many benefits to leaving this task to a professional. 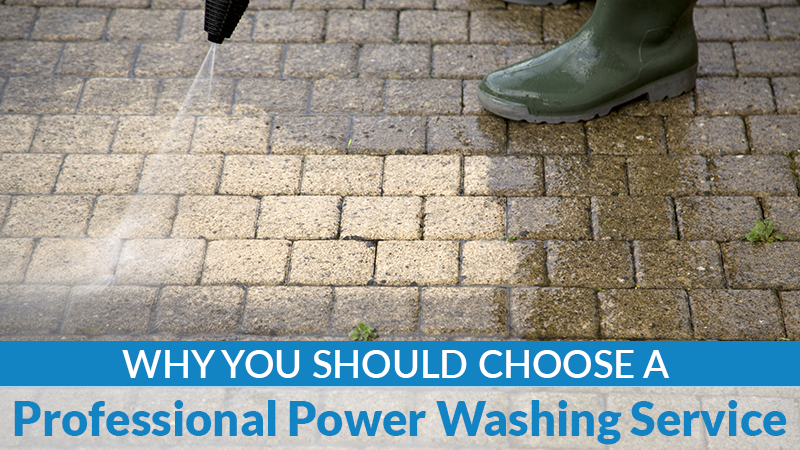 Here are the reasons why you should choose a professional power washing service. Pressure washing is one of the fastest and most efficient ways to remove caked on dirt and stubborn stains. But pressure washing can also damage your surfaces if it is done improperly. You need to know what setting to set the pressurized water at. If the pressure is too low, the stains and dirt won’t lift; if it is too high, the pressure can be too much and cause damage. A professional knows what setting to set the power washer on based on the material the surface is made from and the condition of the surface. When power washing is done, cleaners are used on your surface. The power washer then rinses these cleaners away. However, these soaps and residues can end up on your grass, plants or other surfaces, causing damage to these items. A professional will tarp off the area or spray in such a manner to protect other surfaces from residue damage that can occur when soaps, bleaches or other cleansers are used. When you attempt to pressure wash a surface yourself, it can take a lot of time. 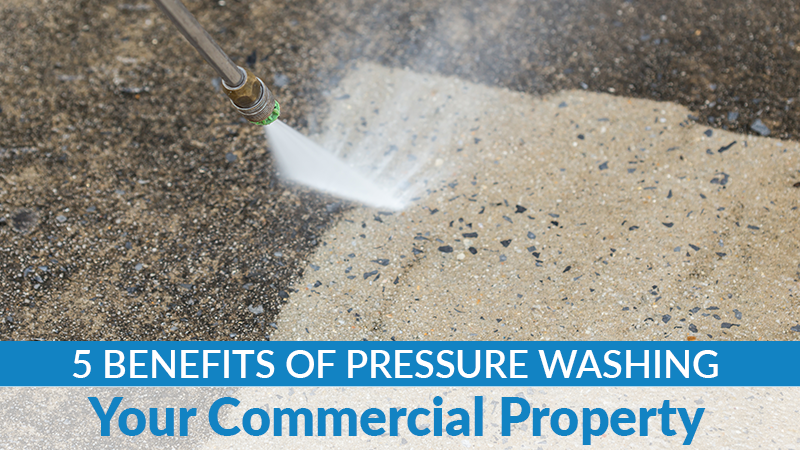 A professional pressure washes surfaces all of the time. As such, they know how to do it quickly and efficiently. This helps to ensure that your surface is cleaned in as little time as possible and you don’t have to waste a day or longer just cleaning a surface around the exterior of your home. Pressure washing can help to remove built-up dirt and dust from your surfaces, helping them to look good as new again. 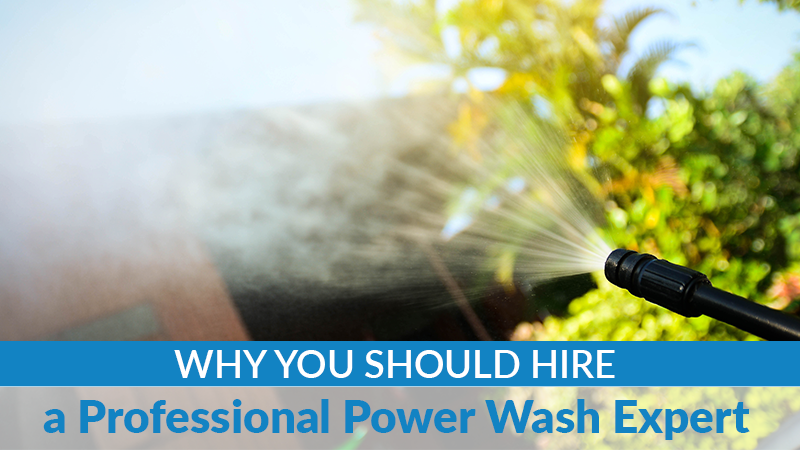 However, if power washing is not properly done, damage can be done to your surfaces and surrounding areas, and it can take longer than it should. 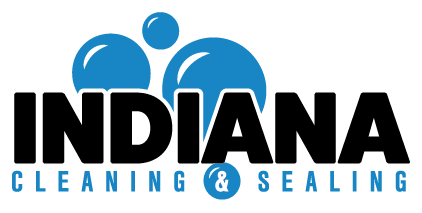 If you are looking to have any of your surfaces cleaned, including decks, siding, concrete or roofs, contact Indiana Roof & Exterior Cleaning today. We would love to provide you with a free estimate and schedule an appointment.